20150416 - Up in the am and dropped D off at school on the way into work. On in to the office for a busy day of meetings and getting things done. 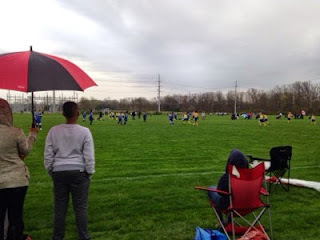 After work drove straight to the soccer field where I met the fam for a rainy soccer match.